It can be frustrating and challenging to find the perfect employee fixer medians of a particular job or position. Leave it to the Trinity employment specialist to help find you not only top talent for someone who is actually dedicated to her job and getting that particular job done. The medical industry we understand how crucial it is to find someone who is time management skills as well as someone who is dedicated to doing their job correctly. Finding the perfect employee in the Tulsa medical staffing industry can be challenging until now that is, with the Trinity employment specialist, the challenges of finding top talent have never been easier. Strive to allow the specialist with Trinity employment help find you the perfect employee to help a certain position or job that you have been searching for for a long time. When it comes to finding the best of the best look no further than with the Tulsa medical staffing specialist with Trinity employment. They can guarantee that you will find the perfect role whether you are looking for a position within the medical industry you are looking for an employee within the medical industry. You will be satisfied with the results after the hiring process is over. The Trinity employment team is also partnered up the Oklahoma Baptist children’s home. Where they believe in providing a bright future for the children and future within a great crew here. They provide clothing and food as well as housing and life skills for these young people. Preparing them for a bright career, can bring the community together within the Tulsa area and help grow a stronger sense of teamwork. The you believe in staff and employee and support a child which means that for every job placed Trinity will donate to the Oklahoma Baptist children’s home. From medical to finance to industrial jobs, has never been easier to be able to help provide a job with the employee and top talent. You will be reassured when searching for Tulsa medical staffing jobs that the Trinity employment specialist provide examples of resumes, cover letters, and thank you letters. They want to help educate those applying for a certain position and help them actually land that spot within the career they are searching for. Head over to https://trinityemployment.com today to learn more about the different job openings as well as finding and hiring top talent. You will also be able to learn more about how the specialist with Trinity employment strategically recruits talented employees who meet the needs of your company. It’s time to to connect growing companies with exceptional talent! That is why the Trinity specialists one to help you, from providing sample resumes to providing informational podcasts the specialists are here to guide you and assist you in all your needs. You will be satisfied with the results will able to see just why the top testimonies interviews and so fulfilling for companies and other employees like you. Feel free to give us a call today at 918.622.2588 to learn more about the specialties that we provide as well as more information or questions you may have. We understand how challenging and time-consuming the hiring process can be, trying to figure out the perfect match for a particular job or position. That is why the Trinity employment specialist can help assist you and do all the hard work for you by selecting and weeding out top talent and find you the perfect employees. When it comes to the medical industry we truly understand how significant it is and how crucial to find the right employee who does their job correctly and promptly. The Tulsa medical staffing industry can be challenging to find the perfect employees who are truly dedicated to their job. That is why the specialist with Trinity employment went to help assist you in all of your needs and the processes to get there. When you choose the Trinity employment specialist whether you are trying to find and hire top talent or yourself is trying to find a great job, we guarantee that you’ll see positive results can be on the fast track to success. They strategically recruits talented employees who can meet the needs of your company or searching of the perfect job. They specialize in connecting growing companies with exceptionally great talent. The Tulsa medical staffing industry allows the Trinity employment specialist to help find you the perfect employee to do a job that they are passionate about and committed to. Instead of hiring an employee who is only seeking their next paycheck, the specialists want to help provide you with someone who truly understands the importance of the job or position in which they are applying for. we went help with top talent in the help you provide jobs for qualified people and careers that fit you. The Trinity appointment specialists are also partnered with the Oklahoma Baptist church working together to feed” children and young adults they also are able to provide housing and life skills for these young people creating opportunities for them to grow within a bright future and a excellent career. They also have been able to create a giveback program in which every job placed with Trinity they will donate to the Oklahoma Baptist children’s home. They truly believe in staff and employee will support a child and they want to do just that. 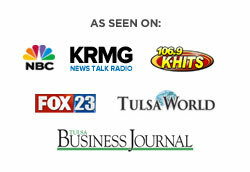 Head over to https://trinityemployment.com today to learn about the different testimonials in which employees seeking jobs within the Tulsa medical staffing industry have been given the opportunity to reach their goals. We also provide sample resumes, cover letters, and think you letters to allow you the opportunity to see what the hiring and employment processing worksite. Stand out above other candidates for a job and gain informational knowledge from our website today. You can also call our number I 918.622.2588 today where we can answer any questions or other information you may be wanting to receive. We want to connect you with growing companies and we also want to connect those companies with exceptional talent!